I was on the smaller side, especially for twins, then! 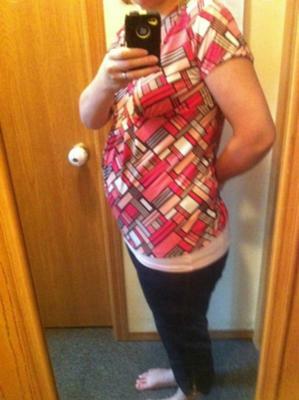 Now at almost 28 weeks, I am as big, if not bigger, than I was with my son at 40 weeks 2 days! oh my goodness your tiny compared to me.. I find out this week if we're having two... we're due almost at the same time I'm 19 weeks Today! Congratulations!! !